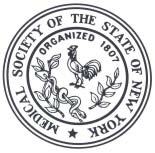 Westbury, NY—April 15, 2019— Dr. Sana Bloch was elected Assistant Secretary at MSSNY’s 213th annual House of Delegates meeting in Tarrytown on April 13, 2019. 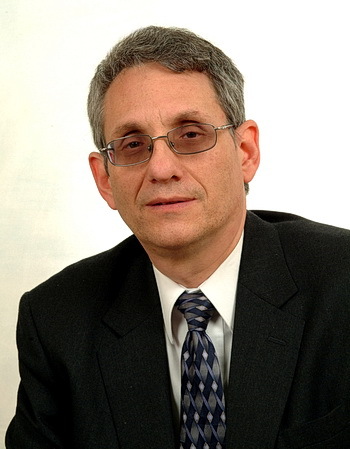 Dr. Bloch currently serves as Director of Neurology at Medalliance Medical Health Service in the Bronx. A board-certified neurologist, Dr. Bloch has more than 40 years of experience specializing in the medical diagnosis and treatment of head and spine dysfunction and a full range of neurological conditions such as headaches, seizures, neuropathy, brain tumors, strokes and dementia. He uses advanced balance testing and balance therapy to aid fall prevention; and VNG to analyze eye movements and brain waves to test for various forms of vestibular disorders. A graduate of Yeshiva University, Dr. Bloch received his medical degree from Albert Einstein College of Medicine. He completed his residency in Internal Medicine at Lenox Hill Hospital and his residency in Neurology at Albert Einstein. He was Chief of Neurology for 20 years at the former Westchester Square Hospital. Dr. Bloch holds an academic appointment at Albert Einstein College of Medicine as assistant clinical professor of neurology emeritus and is a member of the Montefiore Medical Council. He was a member of Governor Pataki’s Commission on Strokes. An active member of MSSNY since 1980, Dr. Bloch has served on many committees, including the House Committee on Bylaws, the Long Range Planning Committee, and the Task Force on Residency Shortages. He is a former president of The Bronx County Medical Society. Dr. Bloch has been married to his wife, Rhonda, for 45 years. He has 4 children and 15 grandchildren. During his spare time, Dr. Bloch enjoys gardening. He was recently granted an exclusive privilege to view ancient sacred Hebrew Scriptures in the Vatican Library.